So more news on the Street Fighter 5 news front, lucky us. First up is the gameplay trailer which showcases both Ryu and Chun-Li engaging in some one on one action. 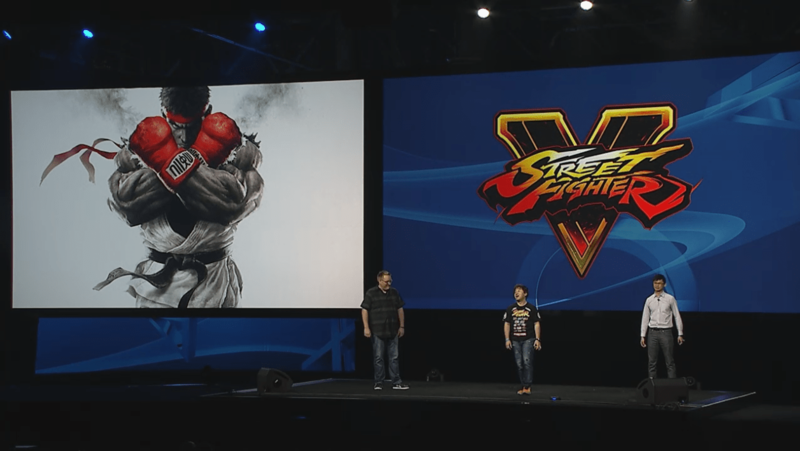 Street Fighter 5 will also include cross platform abilities, meaning that both PS4 and PC gamers will be able to play against each other regardless of which system they are on. 60FPS Gameplay from Capcom Cup! And the last bit of news is sad for those Xbox One owners as it’s been confirmed that Street Fighter 5 will be a console exclusive title for the PlayStation 4 only, as it will be the ONLY console the title will appear on due to Sony assisting with the development / funding of the title (That last part is speculation of course).